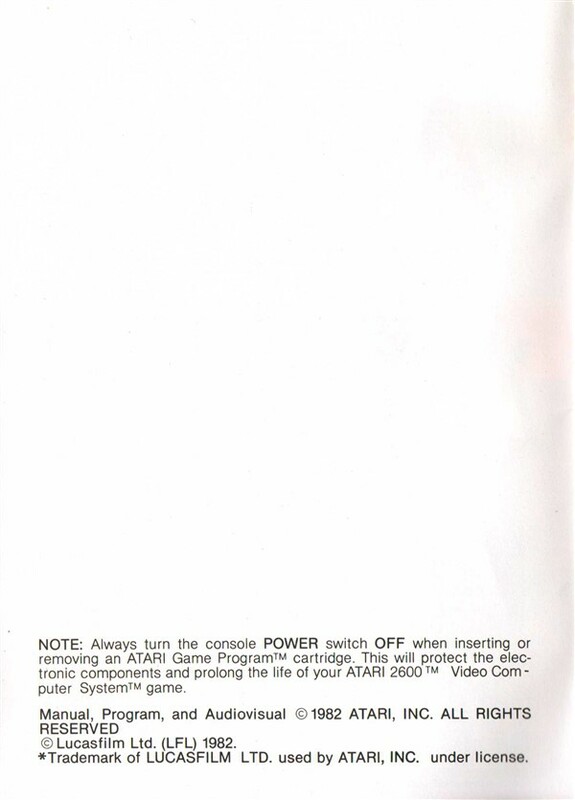 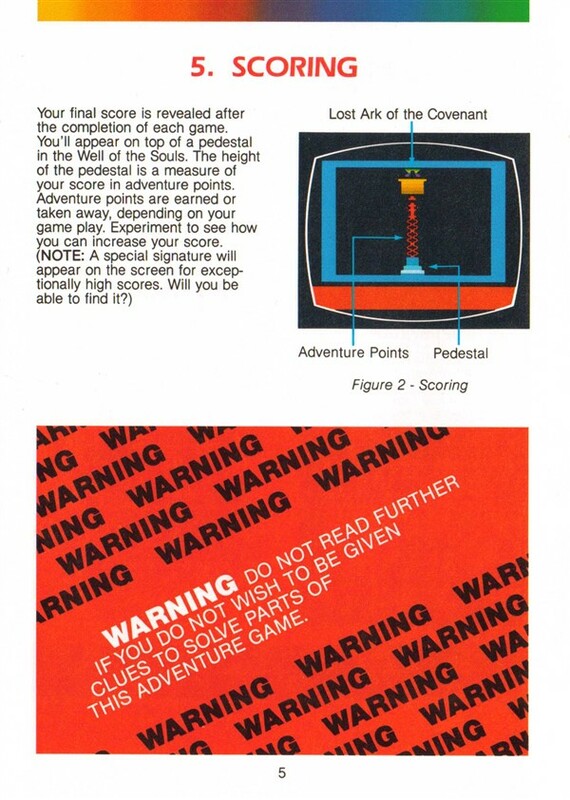 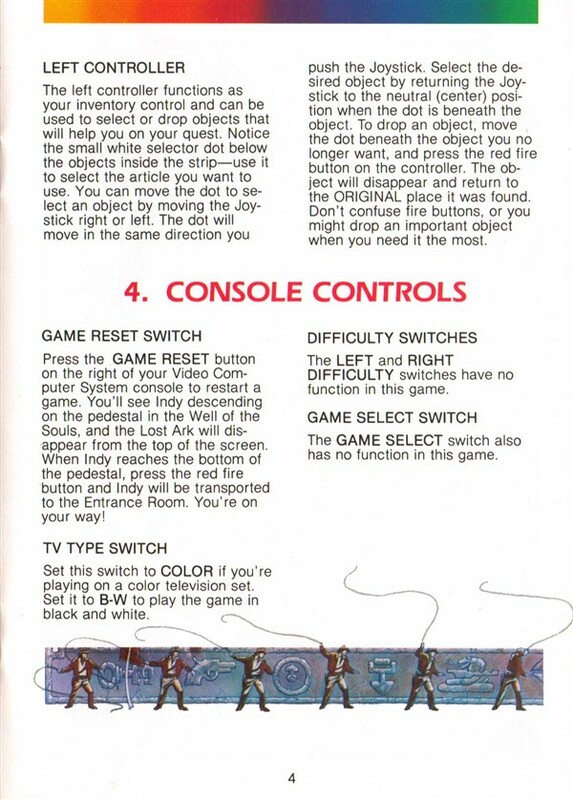 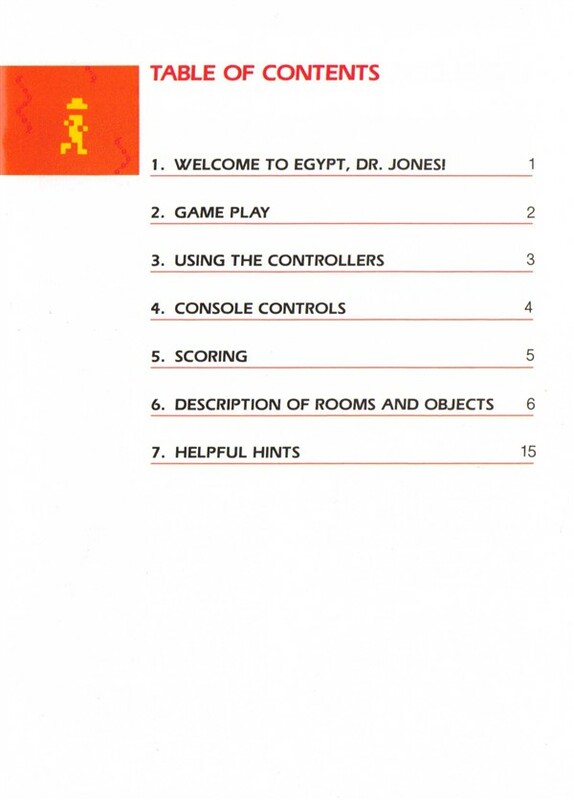 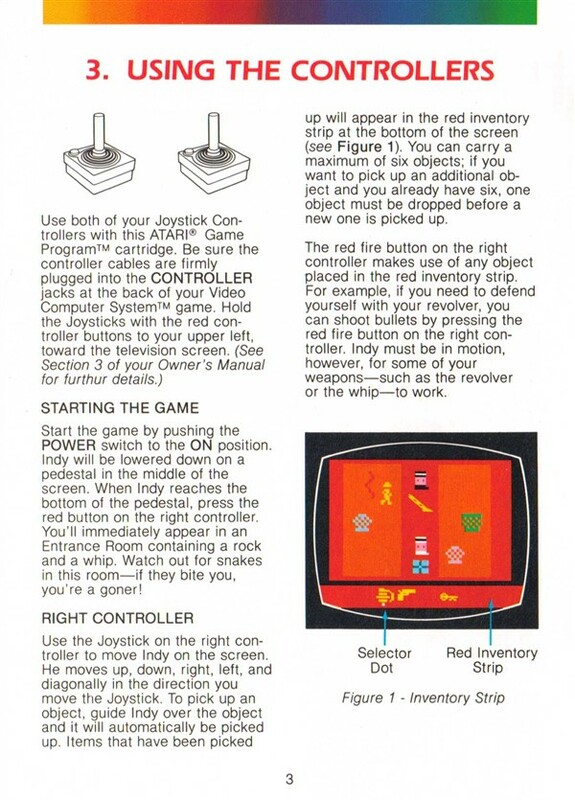 The manual mentions the appearance of a 'special signature' on the final screen if your score is high enough (although this isn’t entirely true). 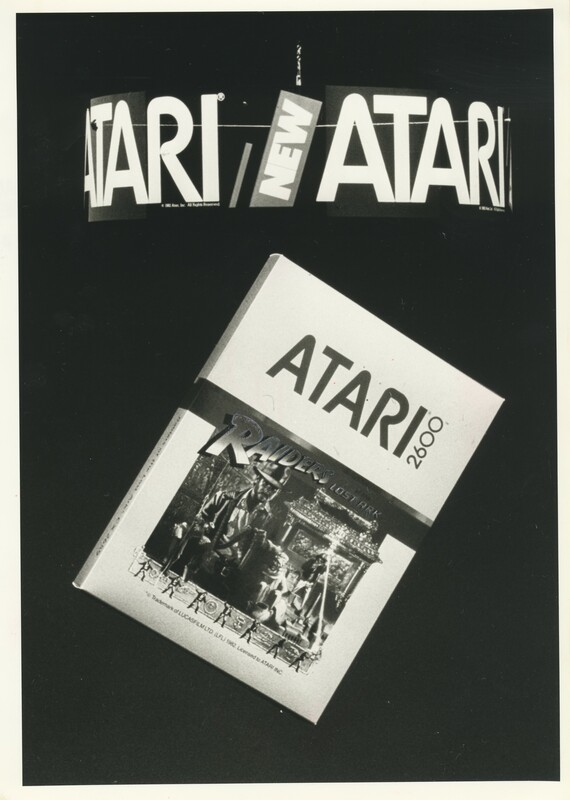 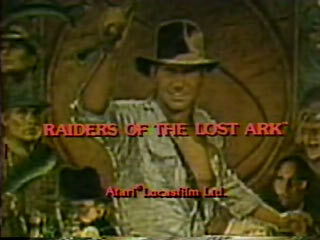 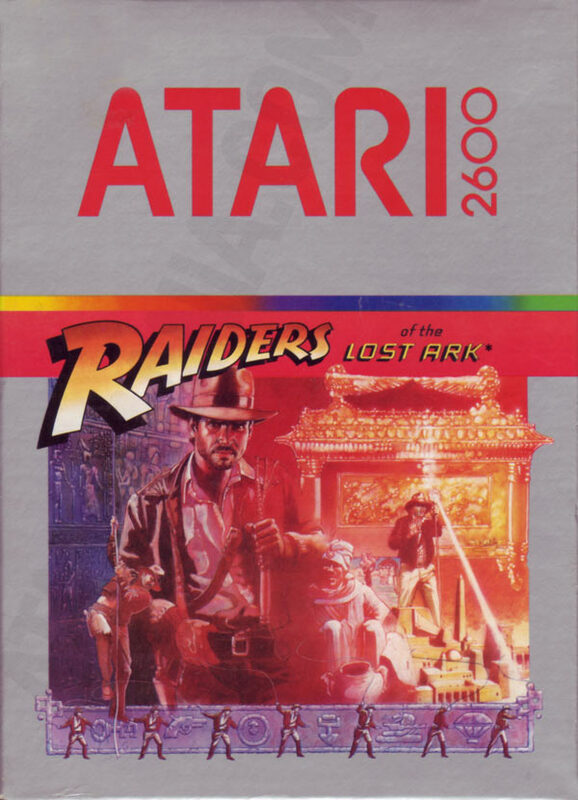 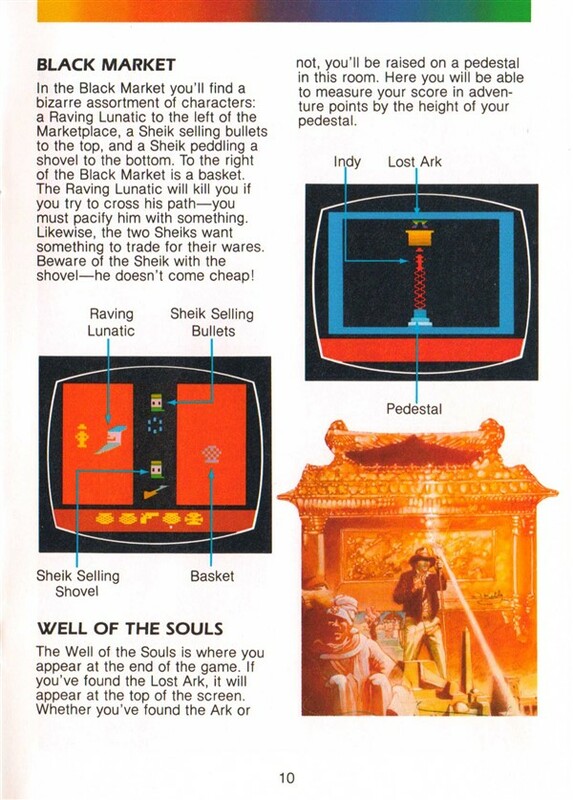 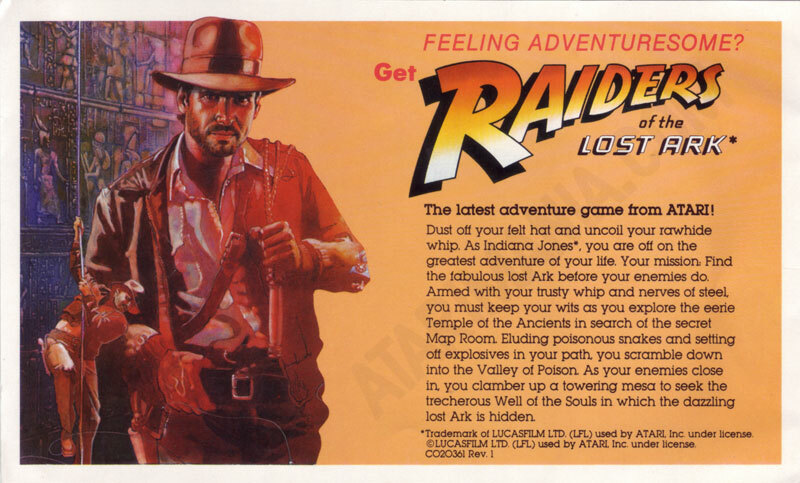 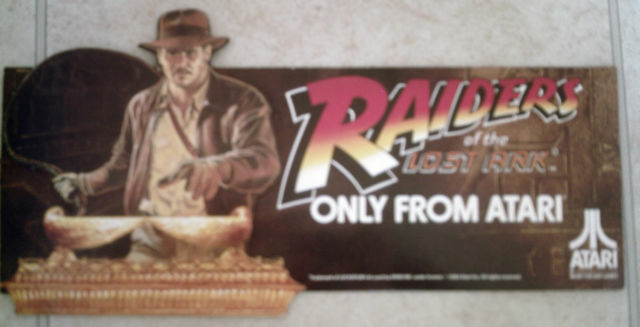 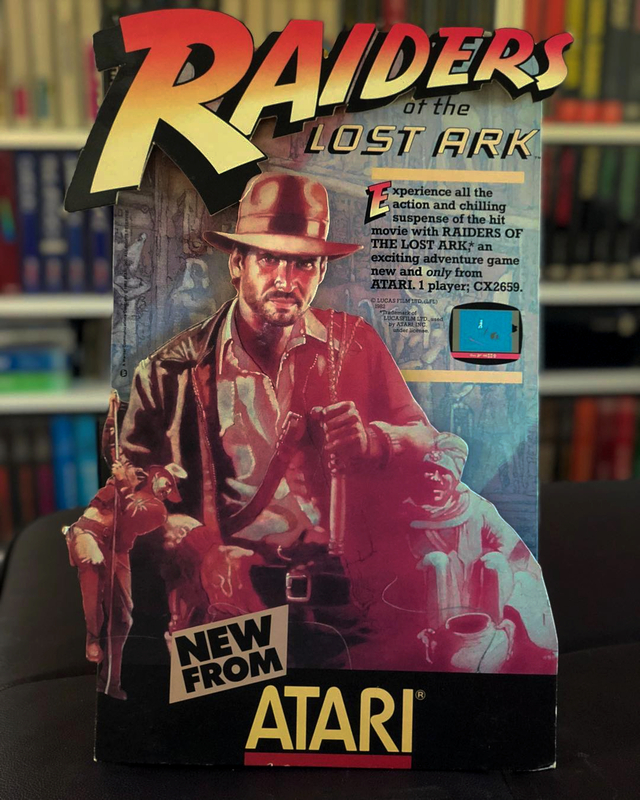 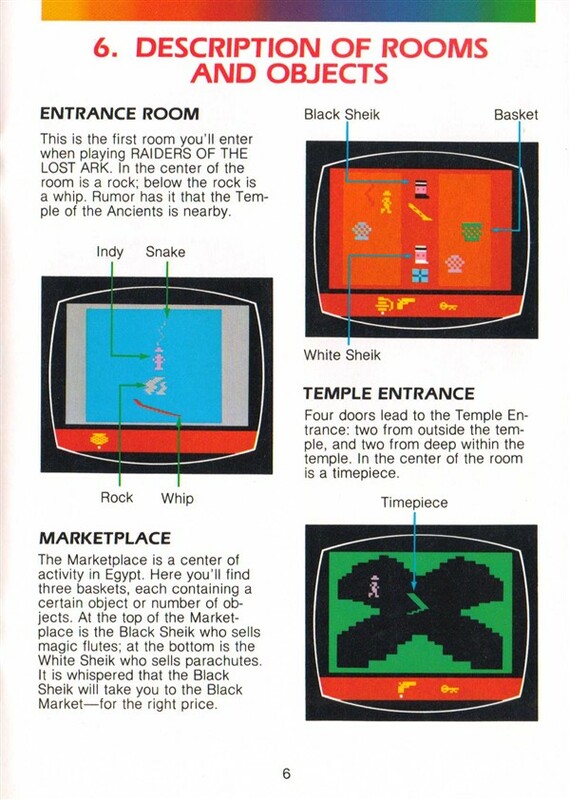 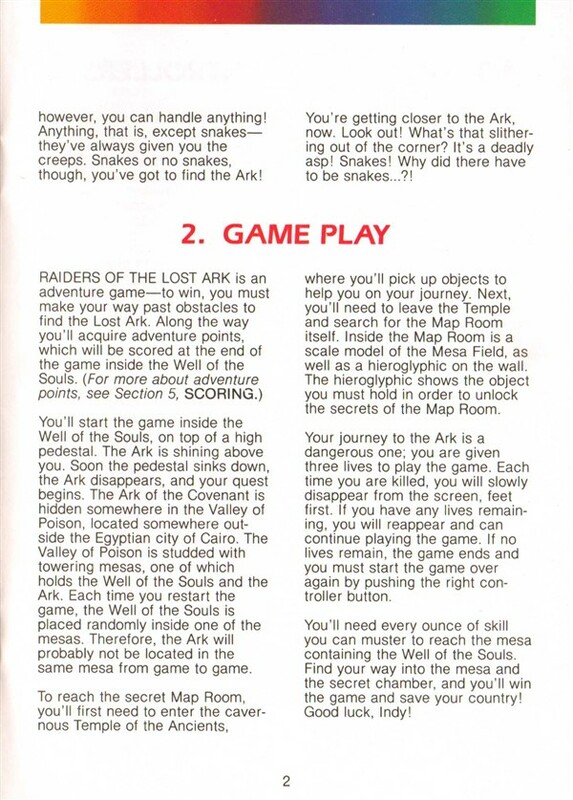 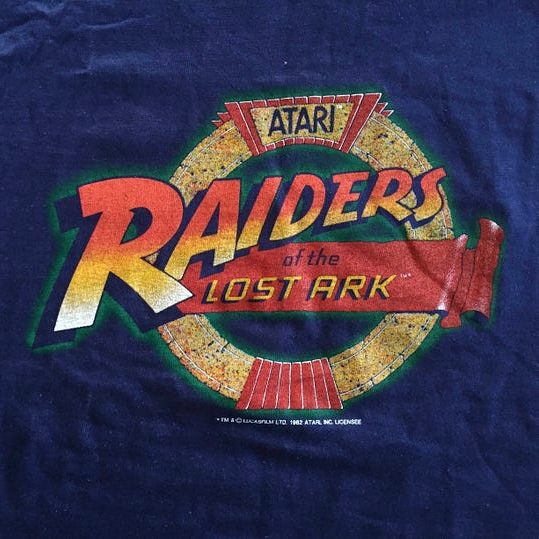 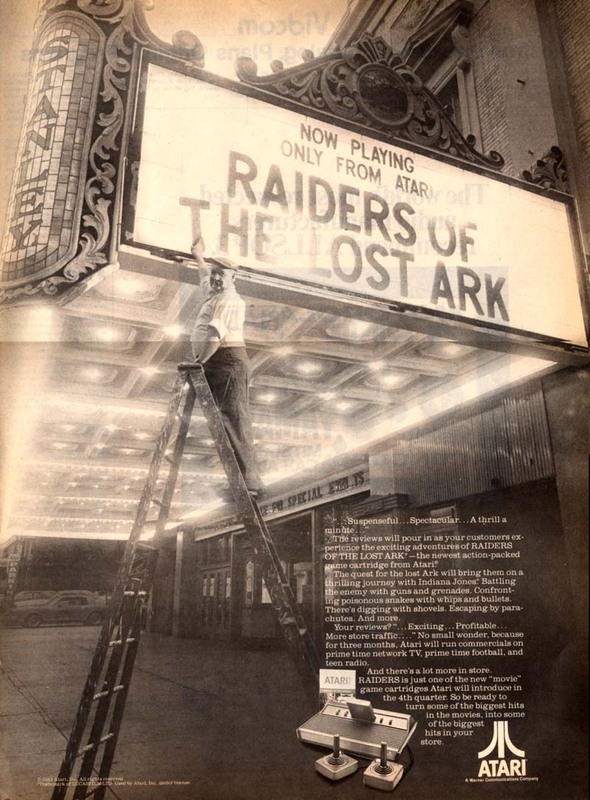 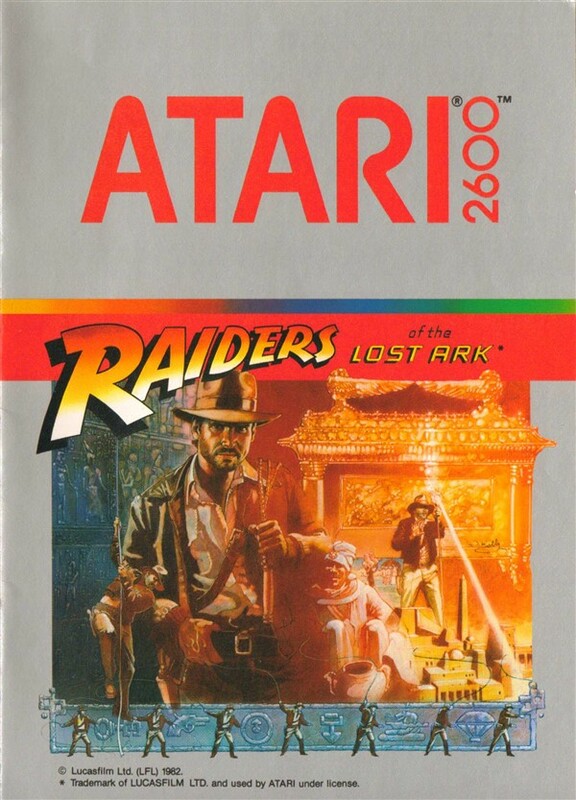 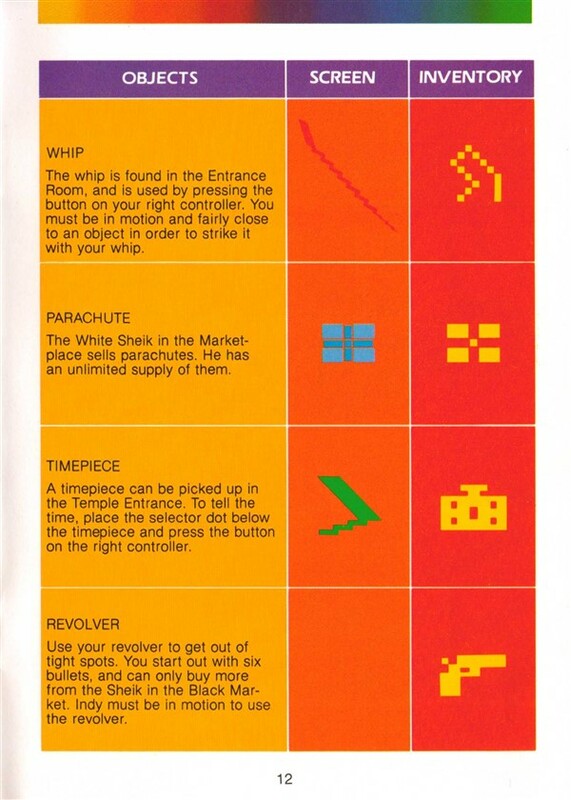 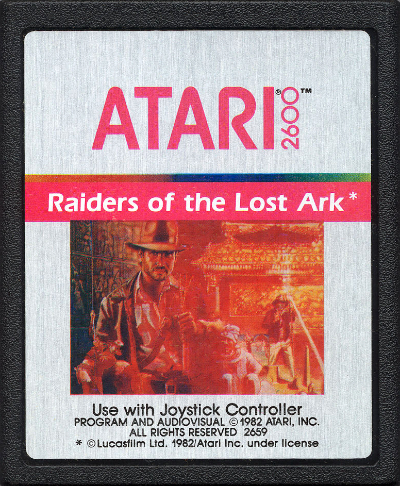 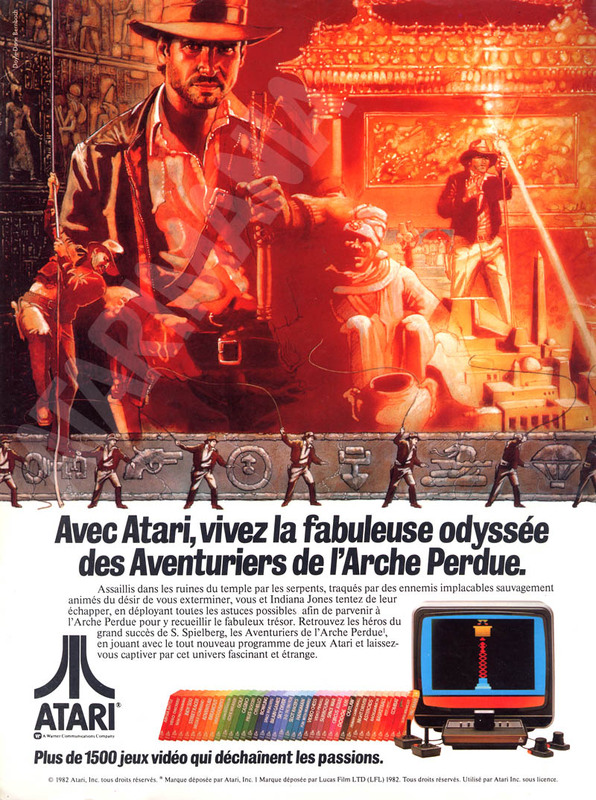 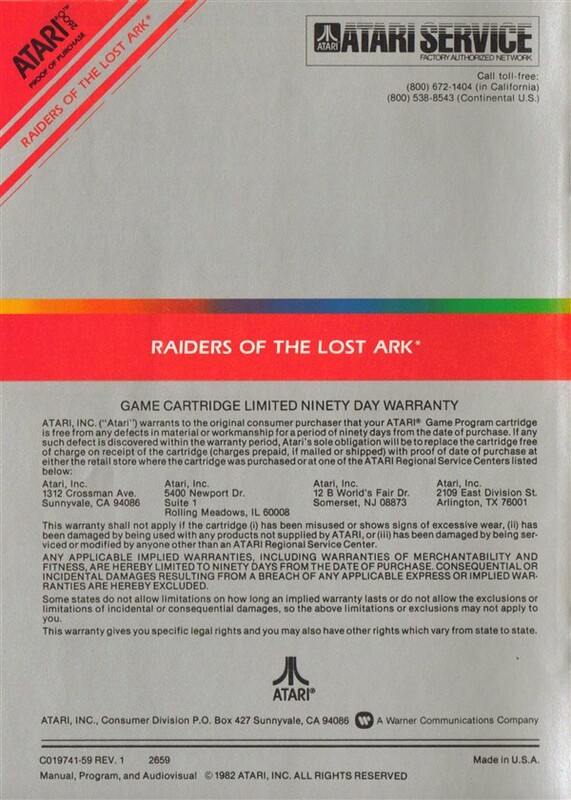 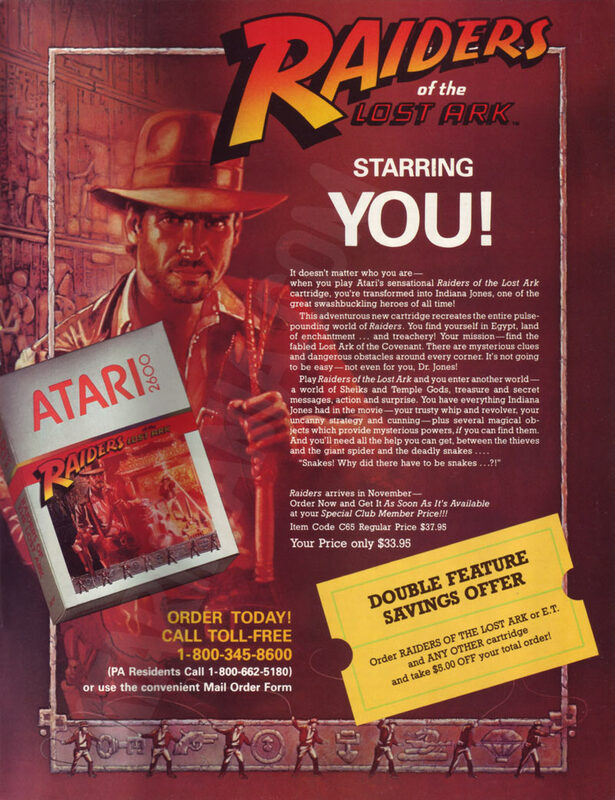 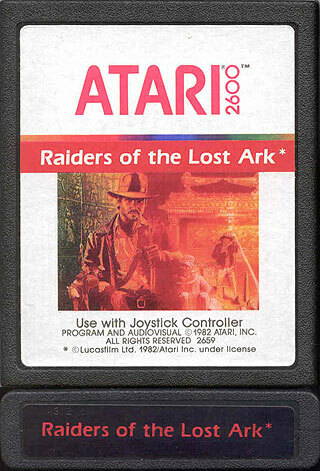 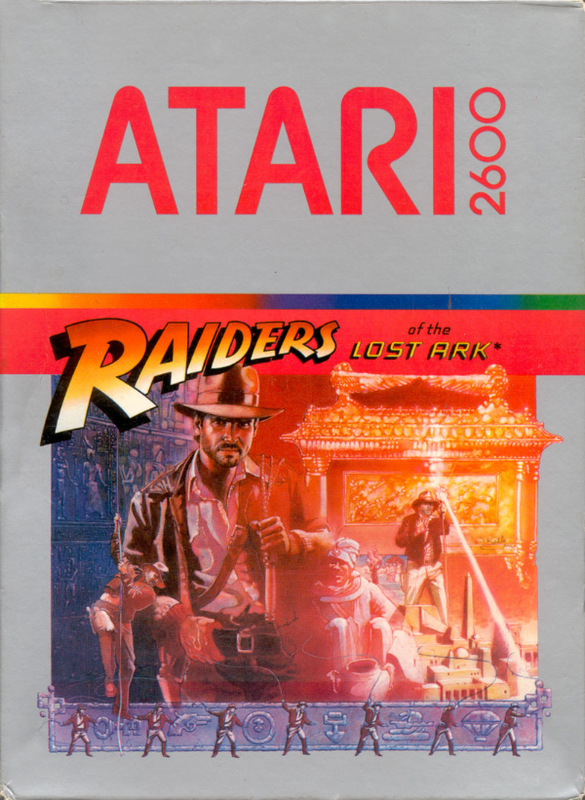 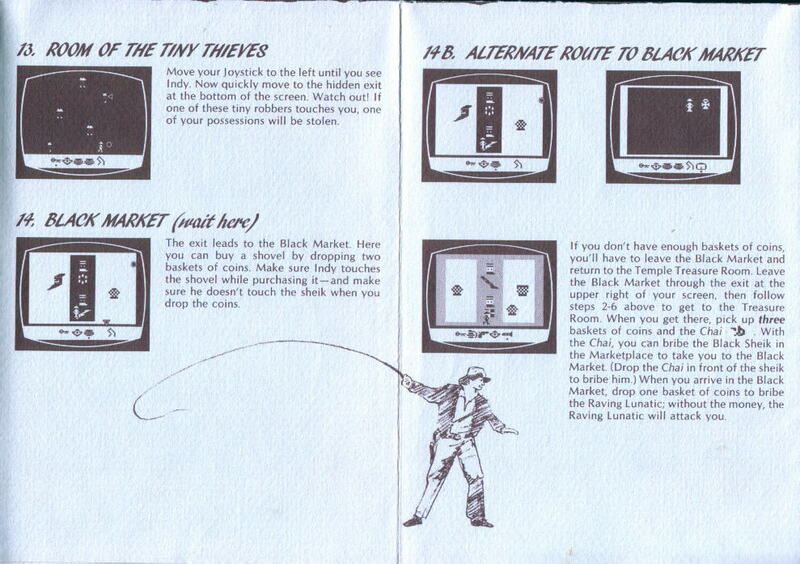 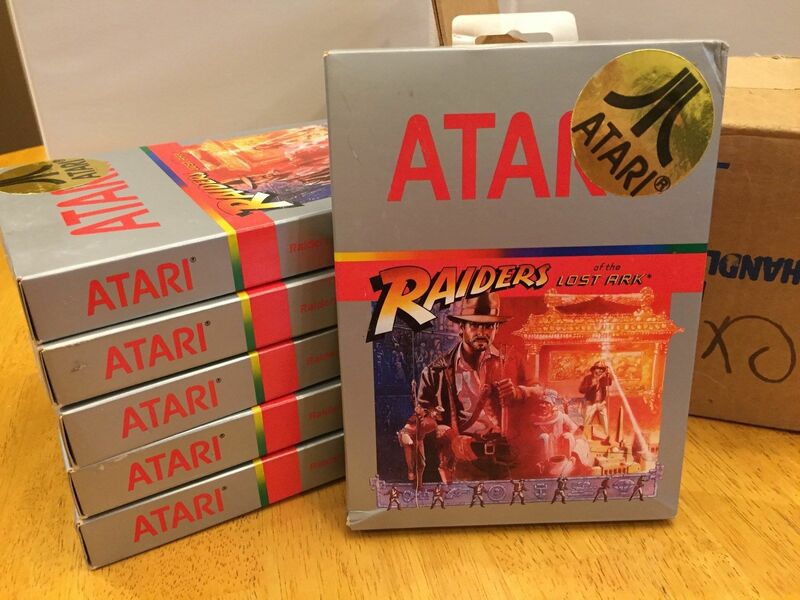 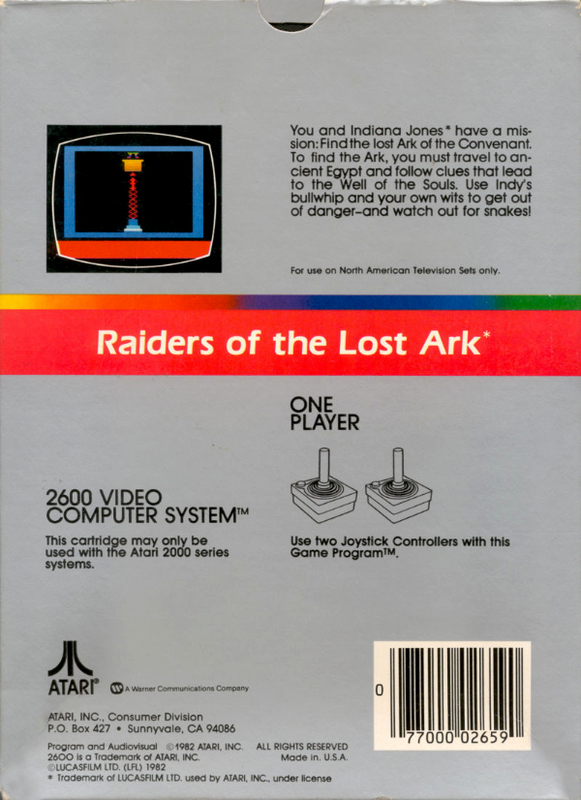 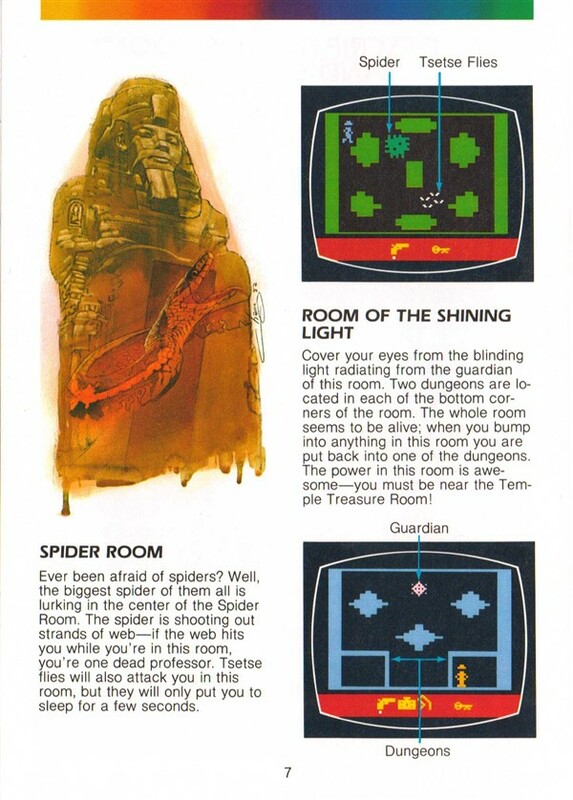 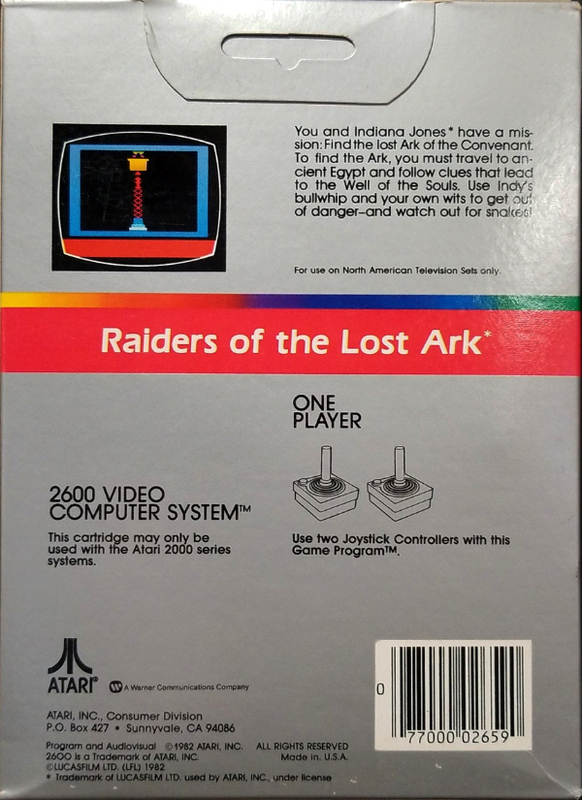 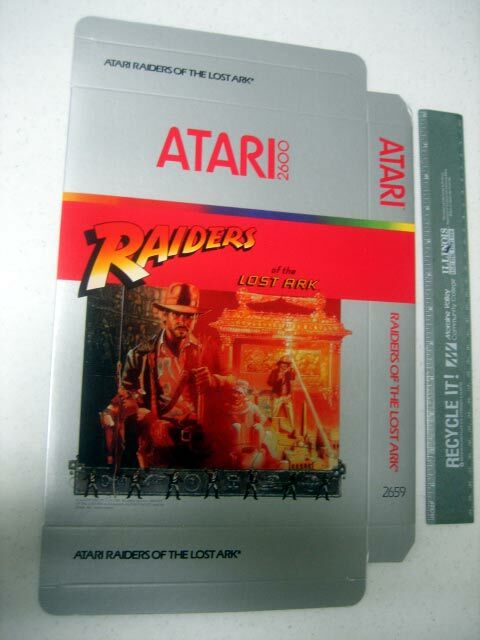 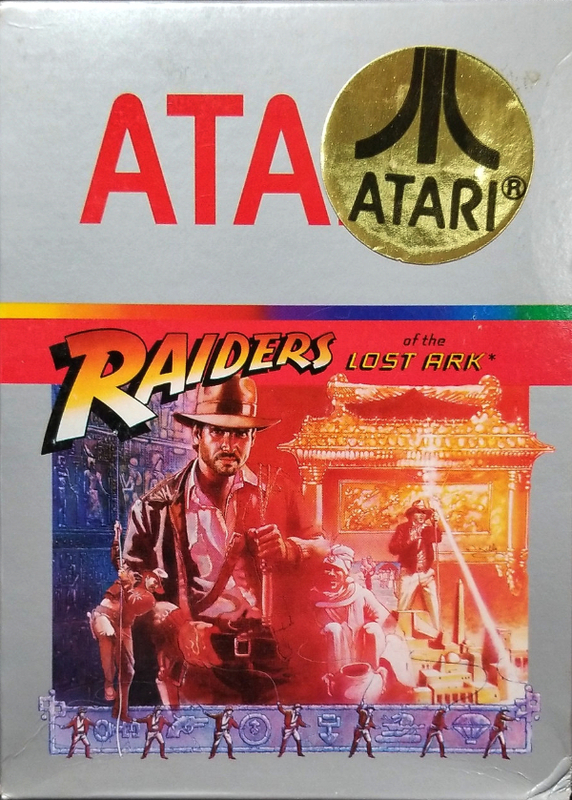 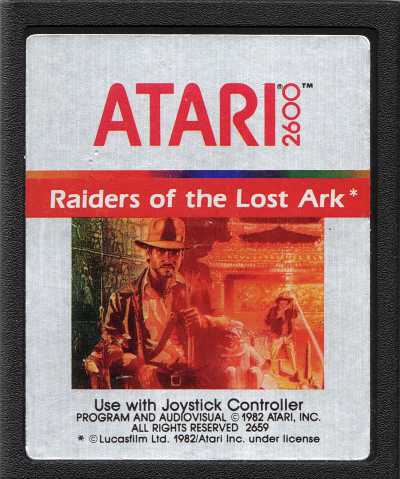 On the final screen showing the Ark, the initials HSW2 (for Howard Scott Warshaw – the 2 denotes this is his second game) appear in your inventory. 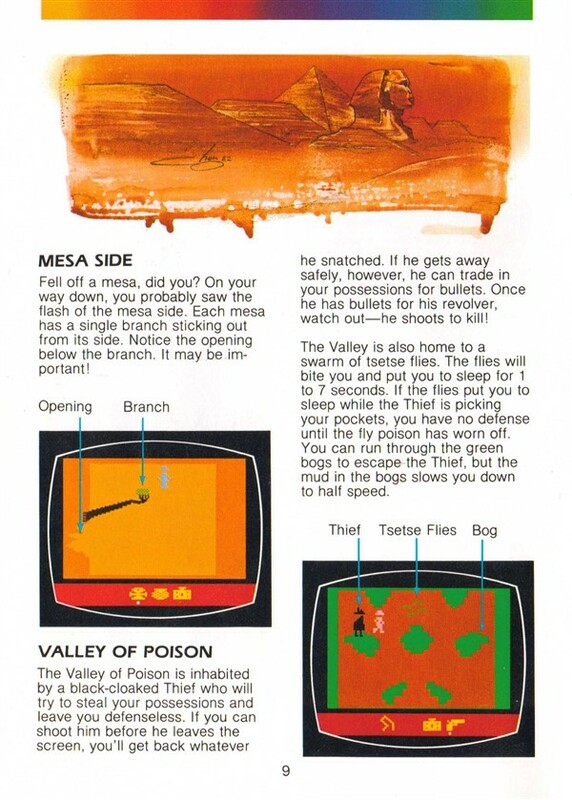 A screenshot of Jerome M. Domurat's initials in the 'Valley of Poison' appeared in several publications. 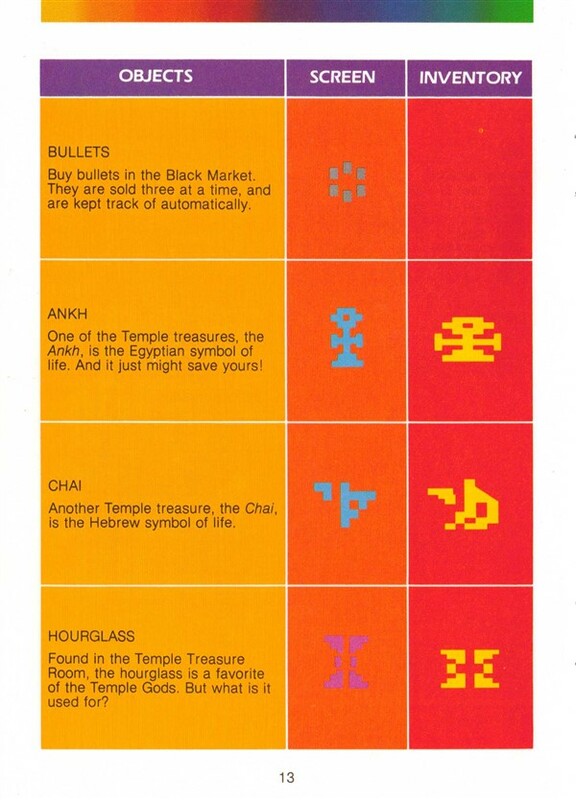 For reasons unknown, this graphic was removed in the released version. 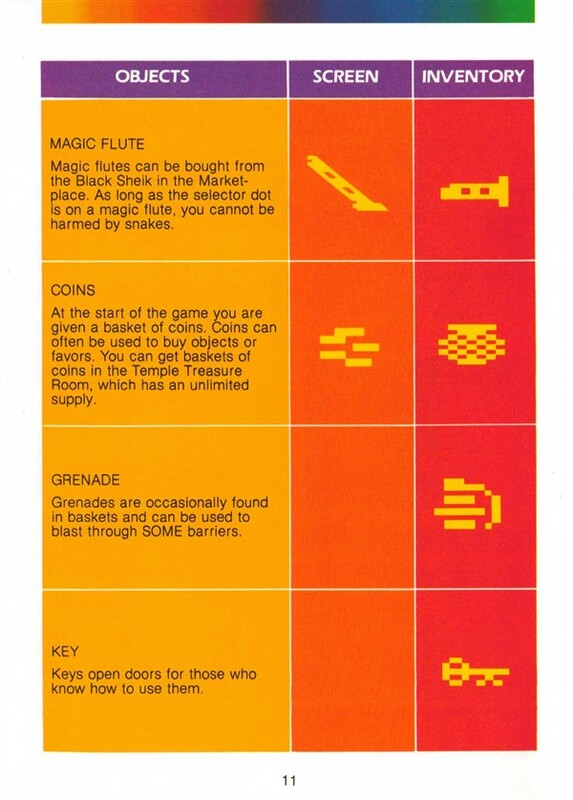 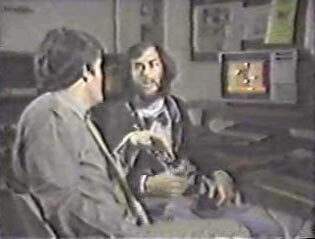 Also, a second key exists in the program which cannot be found in the game. 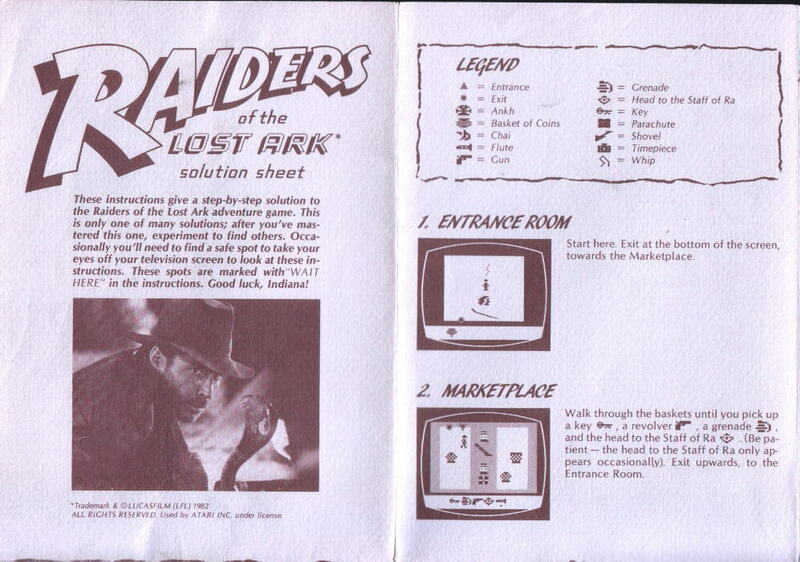 It seems the key was originally going to appear on the 'Entrance Room' (see the screenshots in the b&w ad below), but due to the way the kernel displays objects, it couldn’t be used. 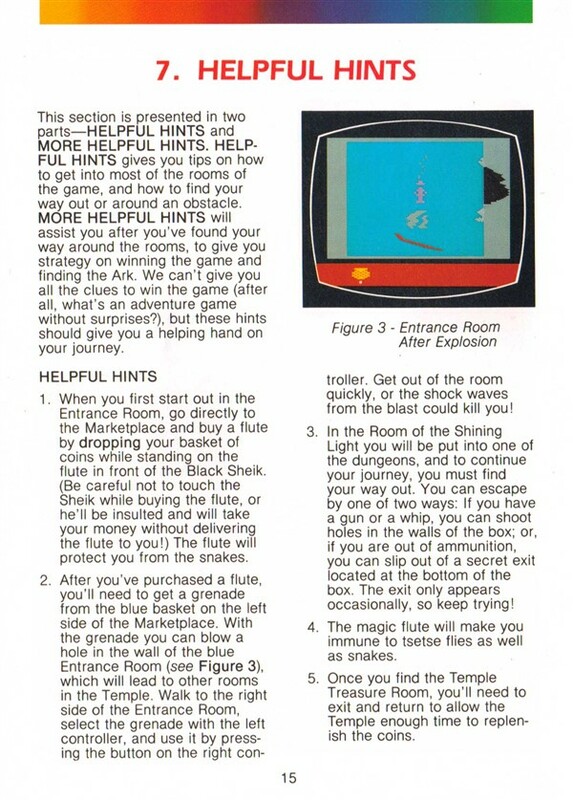 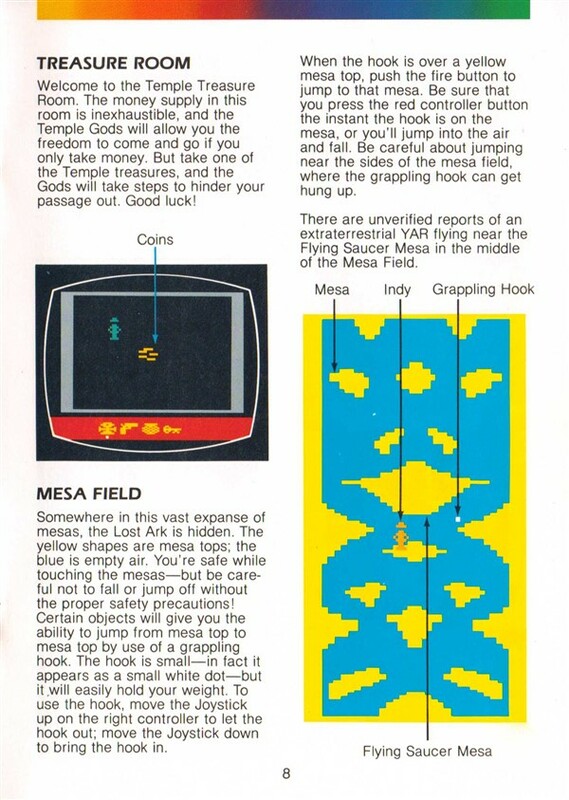 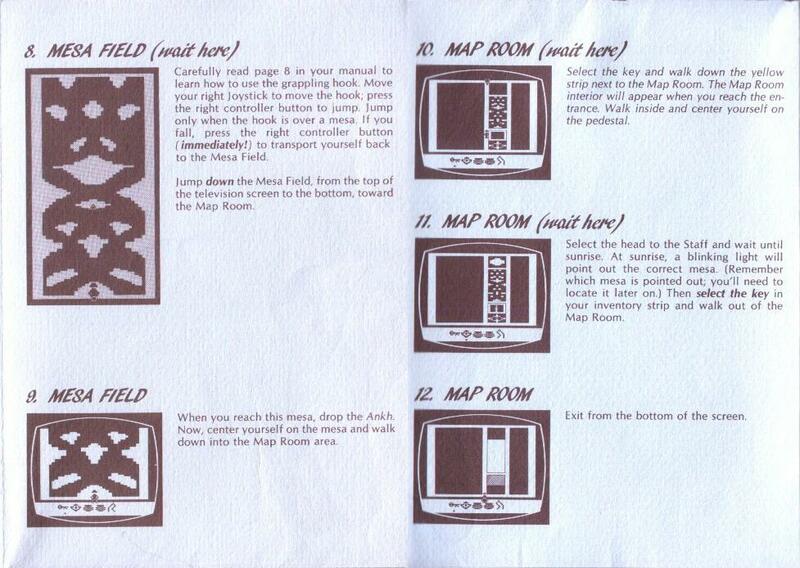 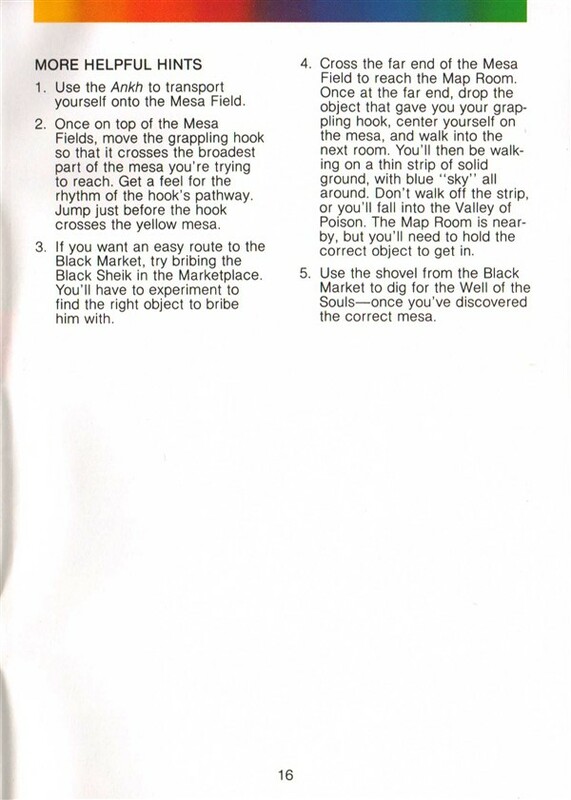 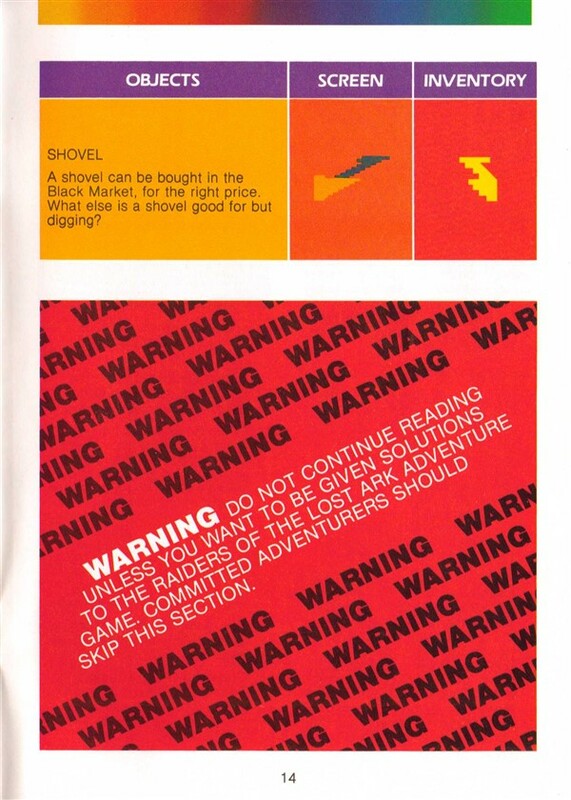 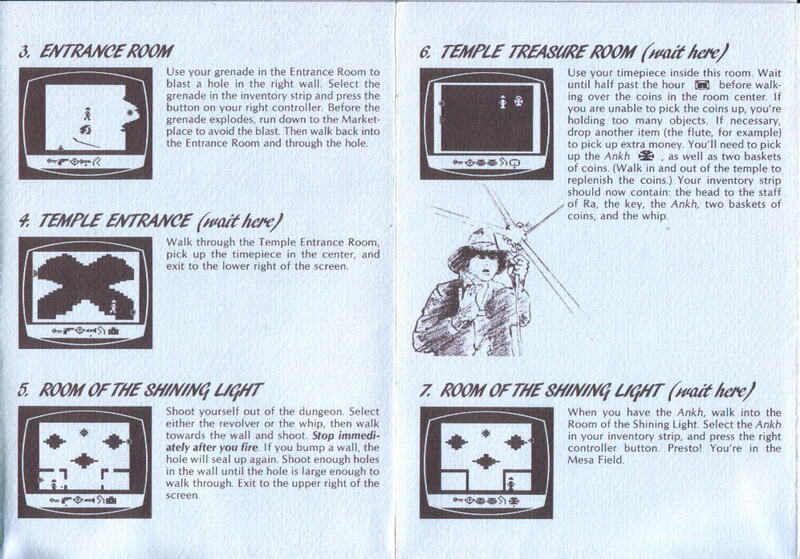 The manual also states the possibility of an extra-terrestrial Yar near the 'Flying Saucer Mesa'. 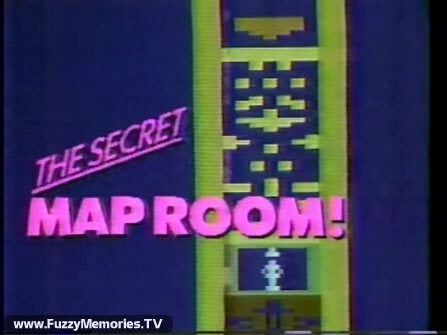 This is true and here’s how to find it: go to the 'Flying Saucer Mesa' with the Chai and a parachute. 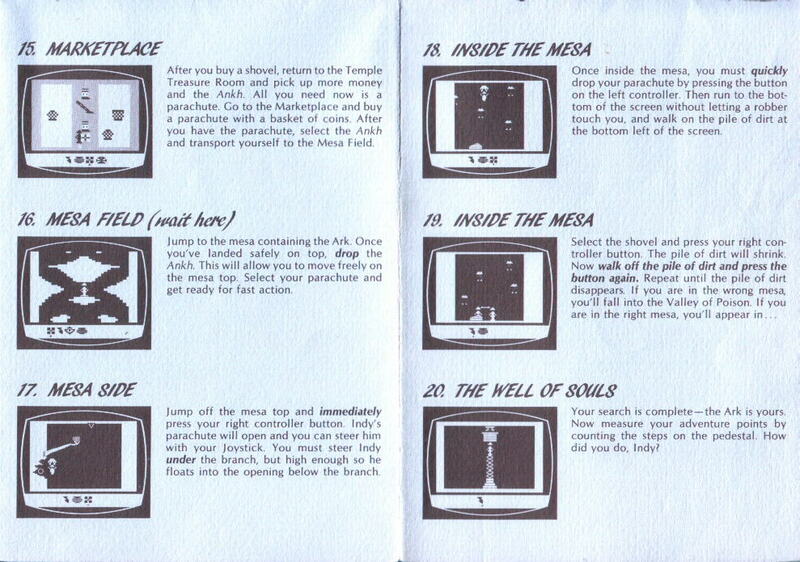 Walk off the bottom of the mesa and drop the Chai when you start falling. 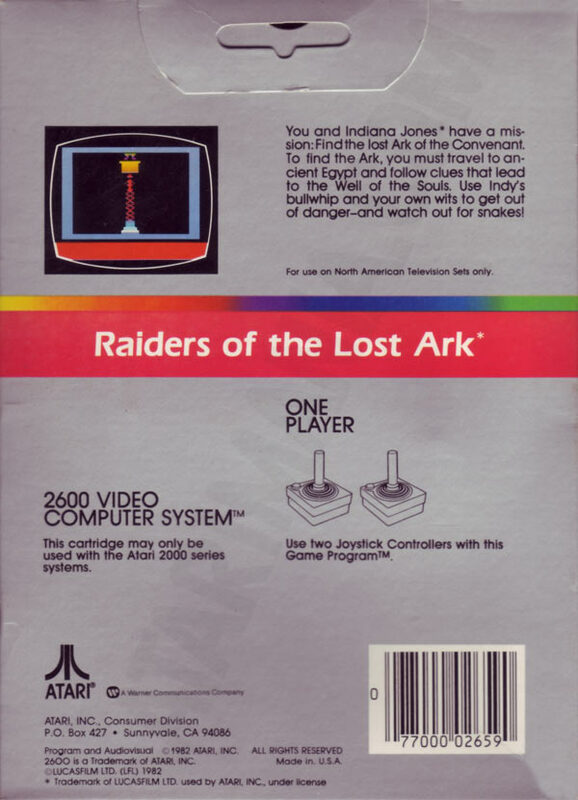 The Yar will appear above you at the top of the screen. 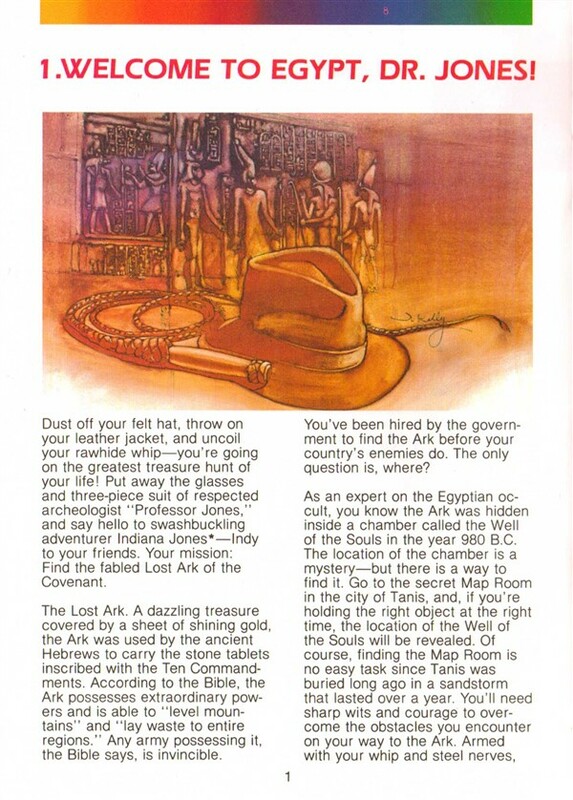 Uncovering the Yar is required to reveal the initials.